There goes the neighborhood! Machi Koro: Millionaire's Row brings 13 all-new powerful establishments to the town of Machi Koro. Designed to be used with the base game and fully compatible with the Harbor Expansion as well, Millionaire's Row brings the total number of buildings available for purchase to more than thirty! Requires Machi Koro Base Game to play. Investigate the Empire's growing presence on Tattooing in Twin Shadows, an expansion for Imperial Assault. Its fully formed mini-campaign challenges the Rebels to help Han Solo, while new tiles and skirmish missions allow you to battle through a Mos Eisley cantina. Two new heroes seek to recover vital components for the Rebel Alliance, but they must first deal with the expansion's Heavy Storm troopers and Tusken Raiders. 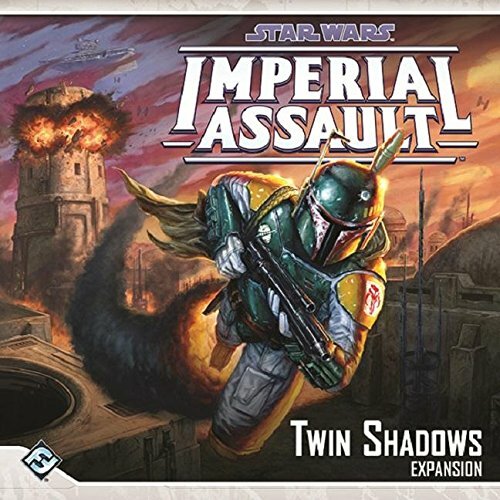 With ten sculpted plastic figures, twelve double-sided map tiles, and over sixty new cards, Twin Shadows brings new dangers, drama, and heroics to every Imperial Assault campaign and skirmish! New Ally and Villain Packs also available now! Now that your town is up and running and is acting like a proper township, it’s time to start growing even more rapidly by turning your borough into a tourist destination. Build landmarks, monuments, and tourist traps to increase your reputation and income while determining the player order each turn. In addition, the metropolitan area has expanded, allowing up to five players to build the city of their holiday dreams simultaneously. 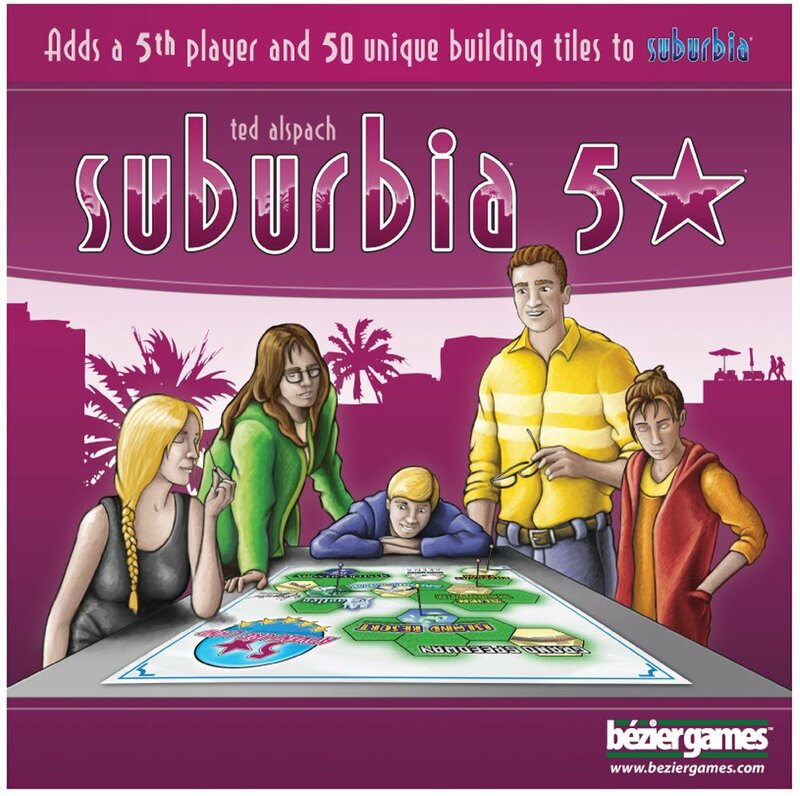 Suburbia 5 Star adds elements for a 5th player, 50 unique tiles, 6 new borders and more! Welcome to the sport of the future - auto dueling! Killer cars battle with machine guns, missiles, auto cannons, and flamethrowers. You're behind the wheel and the last survivor wins. 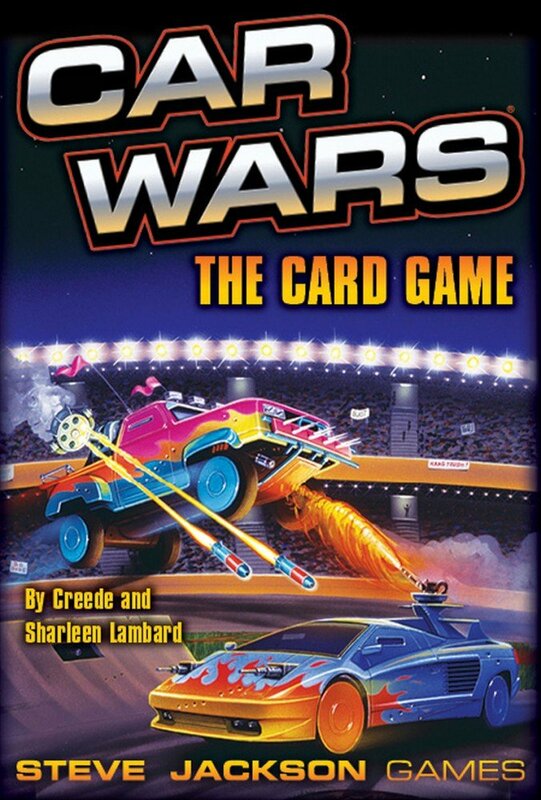 This fast, fun game, based on Steve Jackson Games' award-winning Car Wars, includes six full-color car cards, 150 full-color playing cards and short, easy rules. 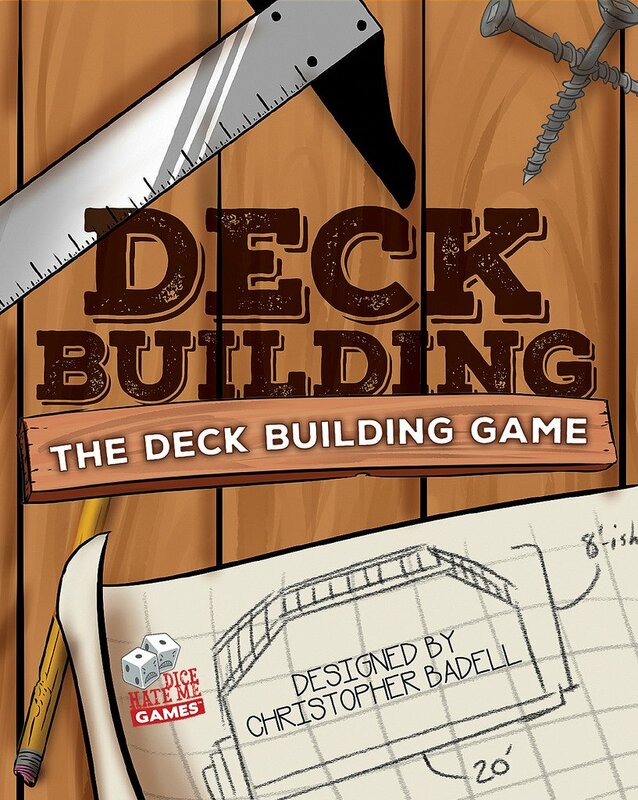 Deck Building: The Deck Building Game combines the thrill of building your deck with the excitement of building your deck! Get your lumber and your tools - it's time to build the deck you've always wanted! You and your neighbor are competing to make the best deck possible given the materials at hand, and only one of you can win! 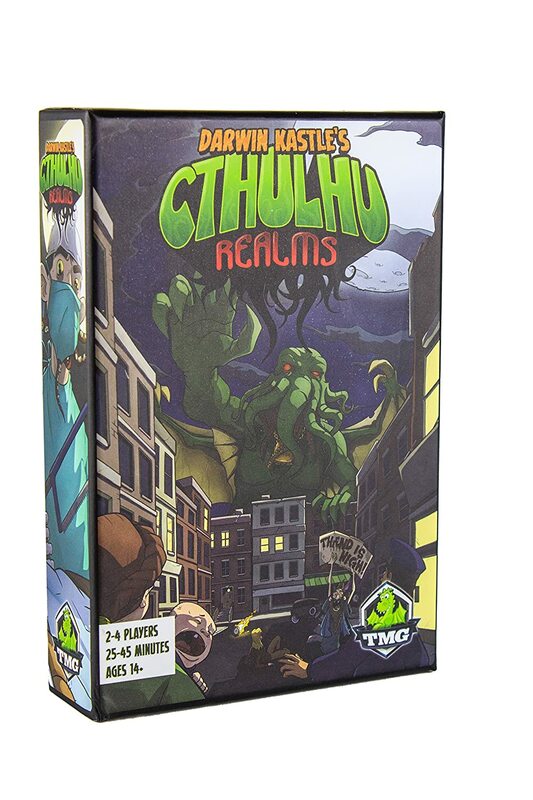 In Cthulhu Realms, each player tries to reduce their opponents to insanity or have more sanity than their opponents when the deck runs out. Each player starts the game with a small deck comprised of initiates, goons and followers. Five cards from the deck form a row of available cards on the table; with more than two players, place three available cards between each pair of players. Each turn, you start with five cards in hand, playing those cards in order to put locations into play, boost your own sanity or reduce that of others, collect conjuring power to acquire new cards, and remove cards from the game. You can use the power of your locations once each turn. At the end of your turn, discard any cards still in hand and all entities and artifacts that you played. If you lose all of your sanity, you're out of the game. If you're the only one at the table who's still sane, you win. Otherwise, the game ends when the deck runs out and whoever has the most sanity wins. ﻿The Dragon Age RPG brings Thedas to your tabletop! Now you can experience BioWare's rich and engaging world in a classic pen & paper roleplaying game. This new Core Rulebook combines the rules and background of the original game under one cover for the first time, and adds a brand new adventure as well. The game system is easy to learn and play, and the book is packed with lore from the world of Thedas. Dragon Age also features an innovative stunt system that keeps combat and spellcasting tense and exciting. So gather your friends, grab some dice, and get ready to enter a world of mages and templars, of Grey Wardens and darkspawn, of gods and demons ... the world of Dragon Age!